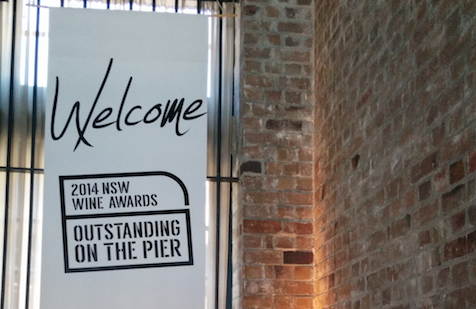 We were so thrilled to be a part of NSW Wine’s Outstanding On the Pier event that took place recently. A two day event attracted the wine punters of Sydney to Walsh Bay and showcased the best of the best that NSW has to offer. 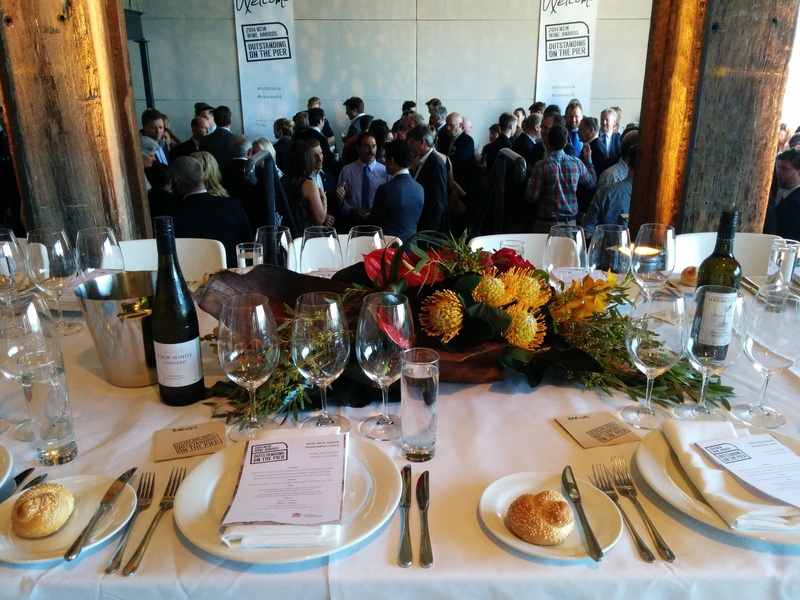 Surrounded by 500 members of the public, and the top wine makers and producers of the state, we celebrated the food and wine industry of New South Wales with a feast that was perfectly matched with the wine that guests sampled. Fresh local produce and meats came in abundance from Brigid’s Farm, The Loch at Berrima, succulent chicken and duck from Pepes at Thirlmere, vegetables and noodles from the Flemington markets, exotic mushrooms from Li Sun Mittagong train tunnel. 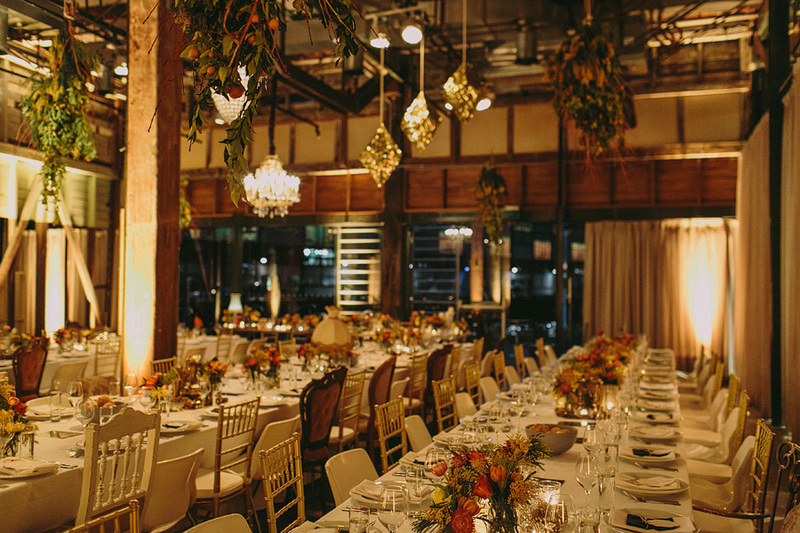 These lush ingredients were used to create our sensational feast that featured four different kinds of cuisine and kept guests coming back for more. Mouthwatering Chicken and duck were tossed with stir-fried mushrooms, vegetables, noodles, plum sauce and served hot straight out of the wok. 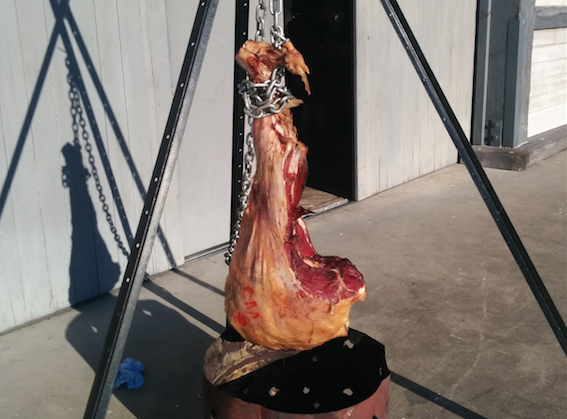 Roasted over a tripod and drum, a smokey haunch of beef was a hit of the night. We gave people the freedom to put together their own vege, lamb or beef burgers with ripe juicy tomatoes, pickled beets, lettuce, and Brigid’s basil mayo and tomato chutney. A selection of Hunter Valley cheeses including: Moroccan Chèvre, Grape Vine Ashed Brie, Pokolbin Smear Ripened, Brokenback Vintage Cheddar, Tomme’ de Chèvre and Pokolbin Blue Vein, were paired perfectly to delight the palate and compliment the corresponding matched wines. 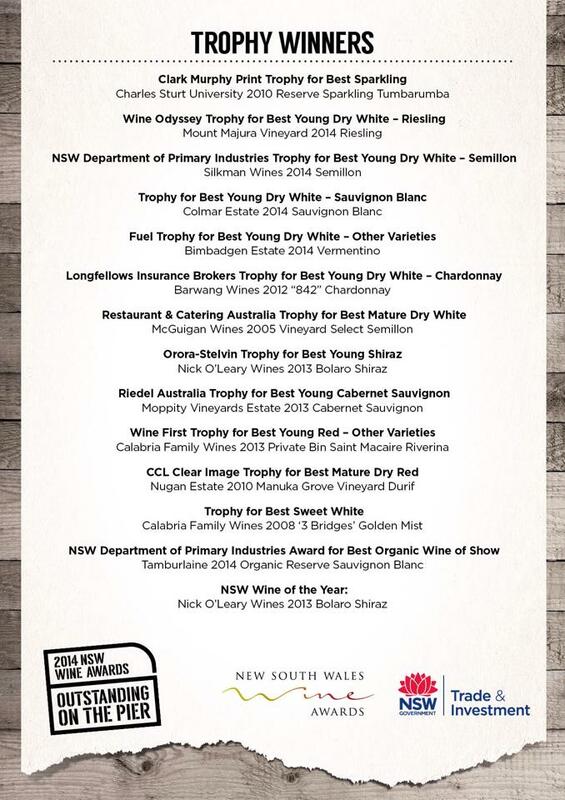 It was a pleasure to host the 2014 NSW Wine Awards Lunch to recognise all of the hard work that was put into the winemaking and the talented event organisers. A light-hearted affair, guests enjoyed the afternoon while speeches and award presentations took place. Guests were treated to a beautiful four-course lunch with dishes matched with the superb award winning wines.